If you drop by the office of Ron Kastner, Controller, you just might find him taking advantage of the large, sparkling windows in his office and gazing at the sky. He may be known in Wichita as a hard-working volunteer and businessman, but he’s also got his head in the clouds as a newly-trained pilot. The Washburn University graduate has a robust background in well-regarded local businesses including Red Guard, where he served as a vice president, as well as years of service at Brite Voice. Ron has built a reputation for being a creative problem-solver as well as a meticulous “money man.” He is also prolific with volunteer work around town – volunteer work that reflects his latest love and hobby, flight. You may have seen him putting in service hours at the Kansas Aviation Museum or with Air Capital Aviators Club. 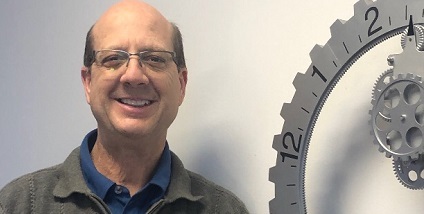 We were grateful to welcome Ron to our corporate headquarters in 2018 and know that for the coming year, “the sky is the limit” for Crystal Structures Glazing with Ron helping us to fly.